How Much Does a Great Hair Transplant Really Cost? p until just recently the modern day “hair transplant” has been the only 100% effective solution to hair loss. Unfortunately the common hair transplant involves a relatively complex surgery and a 2-3 week recovery period, not to mention the often times inconsistency of final results and the expense. The good news is that a brand new technology is changing all of that. Reducing the expense of the procedure while simultaneously improving the quality of the final results. There are many factors that influence the cost of a hair transplant, but ultimately the cost of your hair transplant depends primarily on how many grafts you need or want to have transplanted, and also how many sessions are required to complete the work. A better question to ask might be what is the cost per graft? Most of the better hair transplant clinics offer financing options which will reduce the up front, “out of pocket” cost to nearly zero if you choose, and generally speaking the average cost of a hair transplant can range from $4,000 for a small session, to $12,000 or more for a very large session. By expertly utilizing the very latest in medical robotics such as the ARTAS&REG;, we are able to greatly reduce the manual labour required by the surgeon and staff, thus reducing the expense while still improving the final result, and since the robotic system does not fatigue we are generally able to complete all cases with just one session, further reducing expense and the time required to experience your full final result. 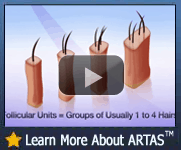 To get a free cost analysis for an ARTAS&REG; FUE Hair transplant simply fill in the form below to schedule a free on-line consultation. For a limited time you’ll save $1000 with this Online Offer, if you choose to proceed, there’s no obligation and you can schedule your consultation at a time which is convenient for you via Skype, phone or in person if you choose. The ARTAS&TRADE; Robotic hair transplant system transforms the common hair transplant procedure into a virtually pain free, minimally-invasive, precise micro-surgical process that is quick, affordable and produces consistently excellent results for the benefit of patients just like you. 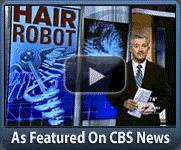 The Robotic system is so precise that is is able to select and literally pluck out single follicular units of hair and remove them from your donor area, while the doctor implants them in your balding area, where the hair will grow for life. The procedure does not require a large linear incision in the donor area and therefore does not leave a linear scar like most common hair transplant procedures. 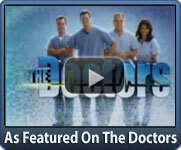 Why Not Get a Free Cost Analysis From Our 30+ yr. Multi-Board Certified Doctor? 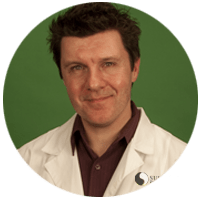 When it comes to discussing something as important and as permanent as a hair transplant it makes sense to consult with the most knowledgeable and experienced experts available to you. Simply fill out the form below to schedule a FREE Online consultation. As stated the consultation is absolutely free and will help answer all your questions, you’ll consult directly with one of our multi-board certified hair transplant experts, there are very few individuals in the world with as much experience in field of hair transplantation who are also as highly board certified. There is absolutely no obligation on your part. For your convenience you can schedule your consultation via phone, email, skype or in person if you choose. Submit Your Free Online Consultation Today and Get a $1000 Credit! Take the first step today, simply fill out the form below to get a no cost, no obligation hair transplant cost analysis, and by filling out the form below you’ll also receive a $1000.00 credit that you can use toward any of our hair restoration services as our way of saying “thank you” for taking the time to consider Sure Hair Transplants. For your convenience you can schedule a consultation via phone, email or in person. Simply fill out the form to the right.